After more than 10 years I traveled to Japan again. This time I went with my wife to Kyoto, Nara and Osaka. Here are some tips about travelling to these areas I want to share and also serve as notes to myself if I will ever go there again in future, which I will definitely do as Kansai is so beautiful and relaxing. Getting mobile internet connection was not easy in the past since you need Japan residency to get a SIM from telco, but nowadays the market is more open and there are now many options. In this travel, I used a SIM card called Fuji card (富士卡), which I bought from Taobao at 76 CNY (about 1450 JPY or 12 USD). This card has 1.8GB 3G data, valid for 7 days, but does not have any voice call and cannot be recharged after you have used it up. 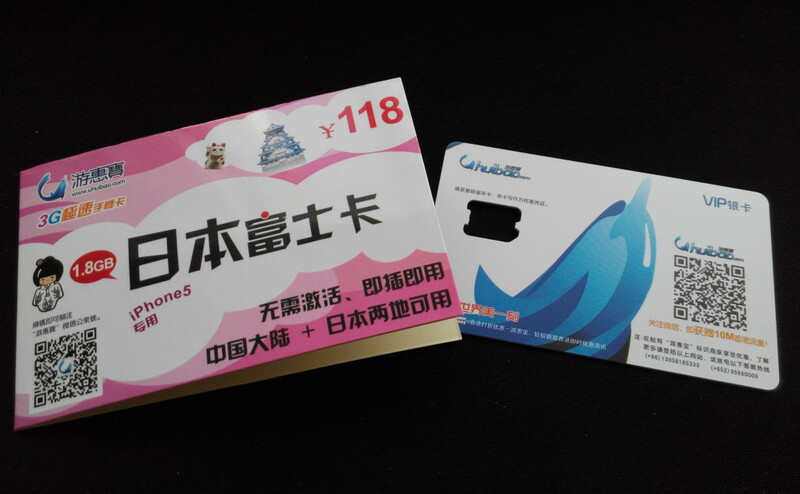 This card is backed by China Unicom and Softbank, in my experience the data connection and coverage is very good. If you live in Hong Kong, you can find this card in Sham Shui Po as well. Fuji card has a cheaper sibling which has 1GB data only, sold at 66 CNY, and a more expensive sibling which has double the data to 3.2GB, sold at 155 CNY. Before the existence of Fuji card, there was Sakura card (櫻花卡). Sakura card still exists and offers 3GB of data with 7-day validity. From what I read it is slower than Fuji card’s 7.2Mbps and lesser coverage. There is also a nameless SIM which offers unlimited data. The first 100MB data each day uses 3G speed but afterwards it falls back to 2G speed. It is cheaper but I bet no one want to suffer from slow speed especially during traveling. If your phone does not support WCDMA or you are not good at fiddling mobile phone settings, you can rent a WIFI router. More expensive, and you have to return it after the trip which I find inconvenient. So-net also sells pre-paid SIM cards at the airport, at a higher price than the Fuji card. Valentine’s day is not a good day to travel to Japan not (just) because restaurants are fully booked but room rates could be more expensive than normal days 2 to 3 times, even for budget hotels like Toyoko Inn. I was very lucky that I found a really nice ryokan called Kitanoya (北野家) where the rates remained the same on the special day. Only available at Jalan, so knowing some basic Japanese is a pre-requisite. In general, check Jalan and Airbnb and you might find hidden gems. My flight landed almost at midnight so I chose to stay in a hotel close to the airport and began our journey the next day. There are not many options, the hotel at the airport is too expensive so I chose to stay at First Hotel. It is located in Izumisano (泉佐野) and very close to the Izumisano railway station, so you can take a train there, or if it is too late like my case, you can take the late night airport bus, the last stop is exactly the Izumisano railyway station. The bus station is just outside the exit of the departure hall. After exiting the airport, turn right, look for the stand numbered ’12’. No need to buy ticket beforehand, pay when you take off, so better make sure you have 1000 yen notes or coins, which I did not have. Luckily the bus driver was able to find a lady who had ten 1000 yen notes to change for my 10000 yen note, otherwise I don’t know what would end up. If your destination is either Osaka or Kyoto and your flight will land at the Kansai International airport, you will likely buy the “ICOCA and Haruka” ticket set to take advantage of the Haruka train (non-reserved seat) from airport to Osaka or Kyoto. In my journey I made a mistake of buying the one-way instead of the round-trip, thinking that I would take the Nankai railway back as many people suggest. Later I found out my hotel actually is closer to Tennoji (天王寺) where there is JR station, so at the end I took the JR Hanwa line rapid train to the airport, that costs 1060 JPY, and in total it is more expensive than the round-trip “ICOCA and Haruka” ticket set. So check the location of your hotel carefully, Google Maps is your friend. The ticket set is sold on the 2nd floor of the JR office at Kansai airport, show them the passport when buying. do your homework carefully in advance. 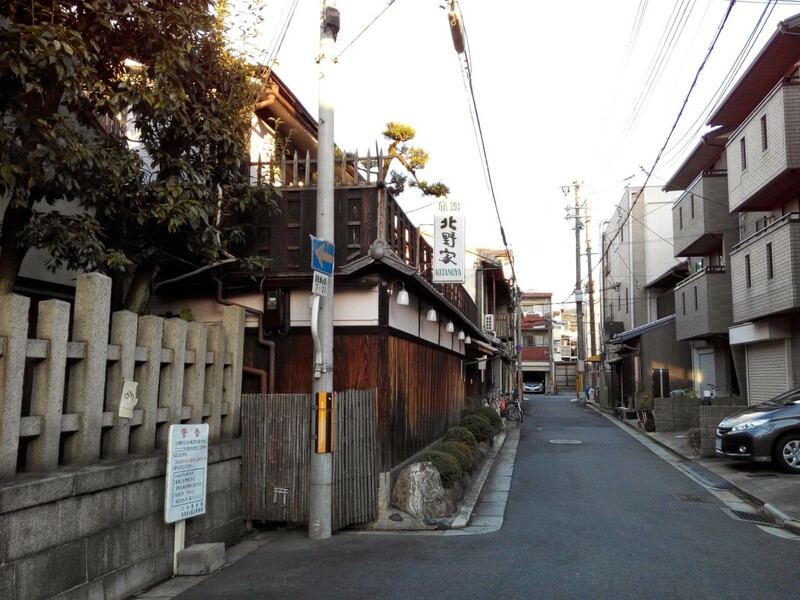 Kyoto is well connected with buses, they are very frequent and can reach all the popular attractions in the city. I took the bus almost exclusively in Kyoto, so I highly recommend buying the one-day bus pass. The pass costs 500 JPY and each bus ride costs 220 JPY, so the pass makes sense if you take more than 3 bus rides, not to mention you free your mind from worrying coins. There are other passes that let you take subway as well, but since there are only two subway lines in Kyoto, I find bus to be more convenient and so subway passes may not be worth buying. As Nara is not big and most attractions are close to each other, most people go to Nara as a day trip and stay in Osaka or Kyoto at night. For me, I stayed in Osaka and went to Nara in the morning by taking Kintetsu train to Nara Kintetsu station. 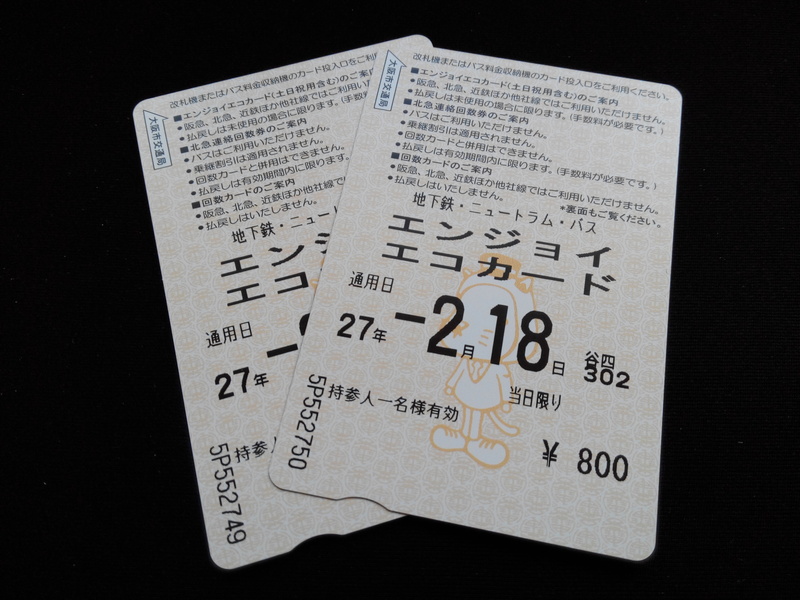 Kintetsu has discount tickets called Nara-Ikaruga one-day pass (奈良・斑鳩1dayチケット) that offers unlimited bus rides in Nara and round-trip Kintetsu trains from/to Nara. 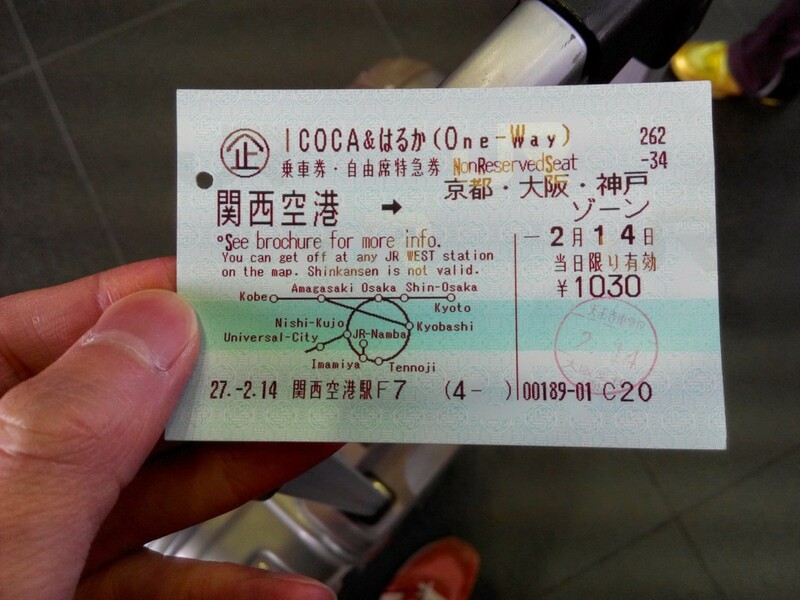 Like Kyoto, you can go to many places just by bus so this ticket is highly recommended. Depending on which city you buy the ticket, there are additional benefits. As I bought in Osaka, I could also enjoy unlimited rides on bus, subway and new tram in Osaka. In Osaka, the ticket can be bought at the subway station supervisor office (駅長室), which is surprisingly located after passing the gate, which could be hard to find in maze-like Osaka subway stations. Osaka has a good subway system that covers most key destinations so getting a one-day pass is a smart choice. 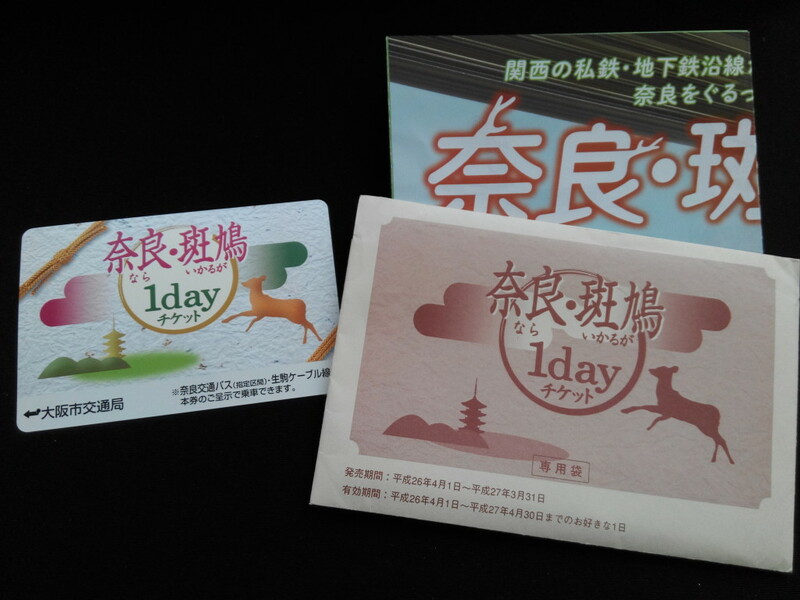 The most basic form of the one-day pass is the Enjoy Eco card, which costs 800 JPY on week days and 600 JPY on weekends and national holidays. It can be bought directly from ticket machines. This card can be used on New Tram and bus as well, and offers discounts to some attractions like Osaka Castle and Floating Garden Observatory. If you ever come across the Osaka Visitors’ Ticket and wonder what it is, forget it if you do not live in Hong Kong, Taiwan or Korea. It has the same benefits as the Enjoy Eco card, but with a lower price and is only sold in these 3 regions. There are many other passes, such as Osaka Amazing Pass and Osaka Kaiyu Ticket, see which one suits you best here. If you buy the “ICOCA and Haruka” ticket set, you will then have the ICOCA e-money card with 1500 JPY in it, which can be used to take trains and subways. But it is not too useful as a means in buying stuffs as many shops do not accept it, except convenient stores like 7-11. In Osaka, I found vending machines accepts PiTaPa rather than ICOCA as well. Before leaving Japan, ICOCA can be returned at JR office and you can get 500 JPY deposit back. 220 JPY will be charged as handling fee from the remaining amount in your card, so if you have spent all the money in the card then it means no handling fee. If you think you will visit Kansai again in 10 years, you can keep the card and recharge it next time when you come back to Japan. That’s it! Hope you enjoy Japan and find my tips useful. 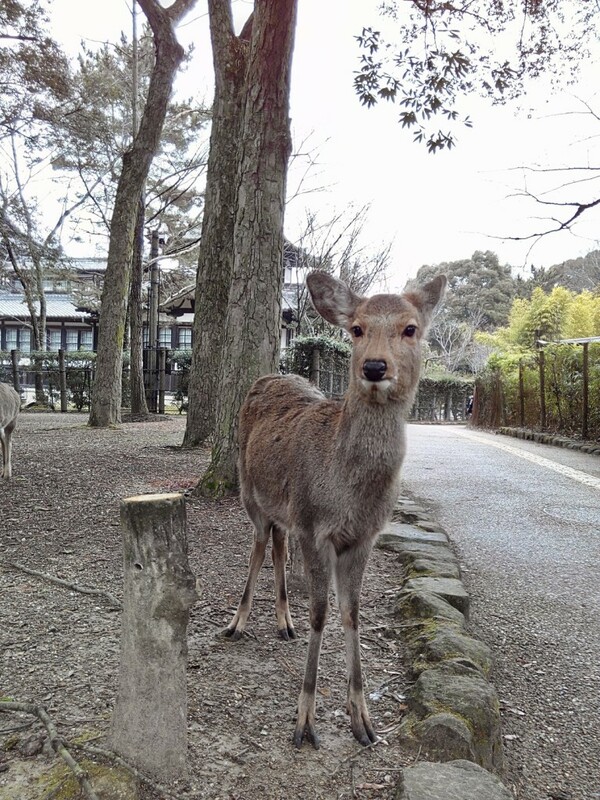 Share the post "Osaka, Kyoto and Nara Travel Tips"
Thanks Anthony for these good tips. I read about Osaka-Free Wi-Fi by Tourism Board and JR West Free Wi-Fi service. And also, my hotels all have in-room Wi-Fi. It really depends on how often you look up information on the road. The problem with public wifi is it may be slow, unknown blind spots and unable to get connected. I only used their public wifi once in Kyoto JR station if I remember correctly, it takes a few steps before you can get to the Internet. First you have to connect to their hotspot and open a web browser, then provide your email address. They will send you a password by email and you have to use the password in your email to login their hotspot. Perhaps there is a way to get a password when you are at home, but I haven’t looked at that. If you can live without Internet, their public wifi may be enough. But I find it more convenient if I can always check the map if I get lost or be able to find a good restaurant when I’m hungry at foursquare. Hope this helps. I have read from Osaka page that Osaka Visitors Ticket can be purchase at Kansai Airport and at Kansai tourists information center. Also available at osaka city center. Correct me if im wrong?